However, we do have a special relationship with H&H Color Lab. Because of that relationship, we are able to offer our US users two special discounts for Shoot & Sell users only that I encourage you to take advantage of if you are able! Together these discounts MORE than pay for the price of the app! Pretty sweet right? Maybe you aren’t thrilled with your current lab, or maybe you are just transitioning into selling physical products and are still in the process of ordering samples or maybe you just want to take advantage of the integration between Shoot & Sell and H&H. Whatever your situation, those discounts should take a little bit of the pain out of trying out a new lab and I’m pretty sure once you try H&H you’ll be hooked! I also thought it would be helpful to outline our integration points with H&H, why I chose them as my lab 10 years ago and why I think you should give them a try. 1) Shoot & Sell has H&H’s full line of frames in the app. 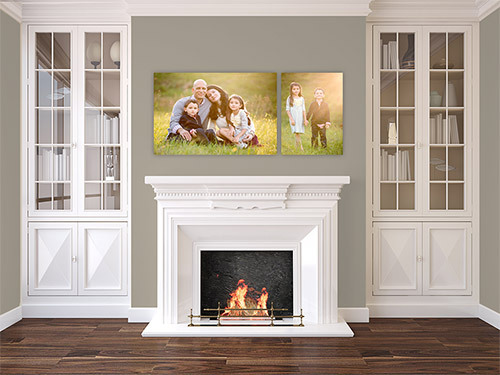 That means you can show your client in real time exactly what any image will look like on their very own wall with the exact frame moldings from H&H. 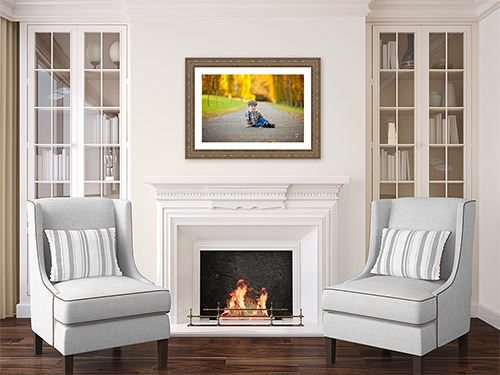 We have all sizes, moldings and mat colors – any frame they sell we can show! We do also have Organic Bloom frames and “Standard” more generic frames that you can use to “stand in” for other frames. But we do love the H&H frames and encourage you to try them if you are in their service area. 2) Shoot & Sell has several pre-designed canvas groupings, of which 13 are the same as H&H’s canvas clusters so it’s very streamlined to go from showing it to your customer in the app to ordering it from H&H. 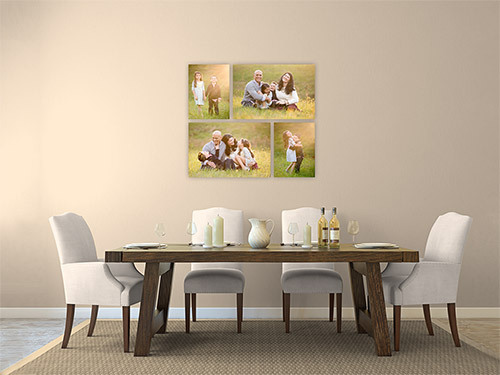 One quick note about these specific groupings – they are about 20% cheaper then if you ordered each of those canvas sizes individually, which allows me to offer them at a much more attractive price to my clients. Because of that, they tend to be the groupings that I sell most! Several of these groupings are available from other labs as well by different names (and you can of course design your own), so it’s not like you won’t be able to fulfill an order for one of these groupings from another lab, but you may want to take advantage of the simplicity of getting them from H&H. Also, H&H is the ONLY lab that sends a giant paper hanging guide with every canvas cluster – your clients will LOVE you for making that part so easy on them! Fuji Paper – H&H is a Fuji lab. Fuji paper is known for having superior detail in the highlights compared to Kodak, I also just personally like the way it feels a big more substantial. Fuji labs CAN run a bit “cooler” compared to Kodak but H&H really retains a certain warmth that is hard to find at other Fuji labs. Color Accuracy/Consistency – H&H prides themselves on being fanatical about color and it shows. As far as consistency, I have two prints of the same image that I did 6 years apart. They are identical! Shipping Speed/In-lab turn around time – H&H ships most products two day shipping and their in lab turn around time is very fast. Product Line – Of all the pro labs, H&H has the deepest and most diverse line of frames at an amazing price point. There is truly something to match every style, from barnwood shabby-chic to super traditional – there is something for everyone. 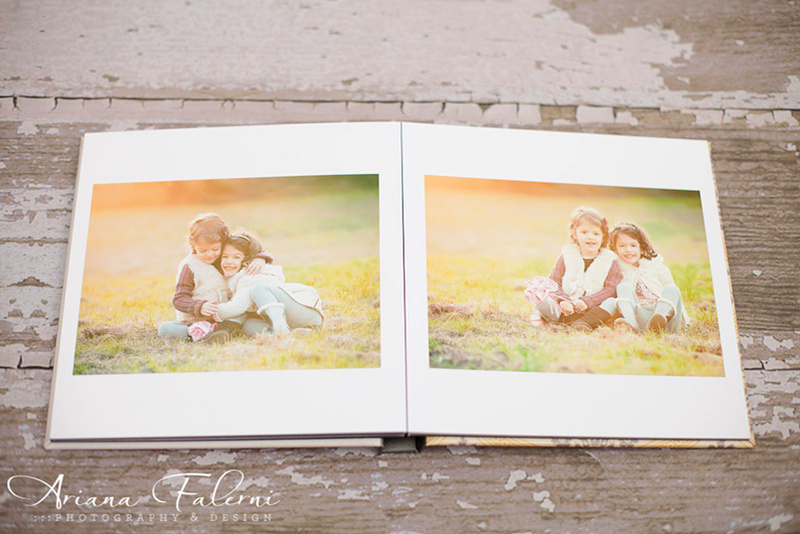 They also have GORGEOUS prints (seriously, try their Fuji pearl prints) and a full range of albums, jewelry, metals and so much more. 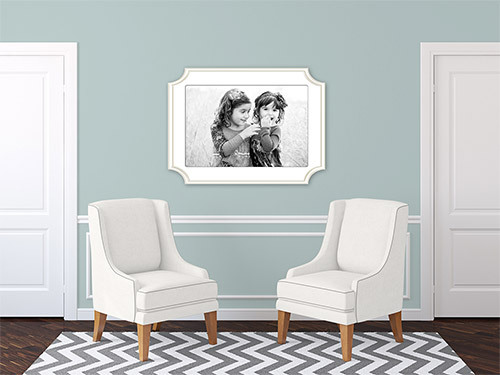 Quality – Every canvas or framed print I have ever received from H&H has been impeccable. Their products have completely finished backs and are ready to hang! Easy of Ordering/Software – H&H has a version of ROES, but their primary ordering software is HH Studio, which I find infinitely easier than ROES. Customer Service/Friendliness – I rarely have a problem or concern with an order, but if/when I do, H&H’s team has always taken care of it for me right away. They treat their customers like partners and they take their responsibility to their customers very seriously. In the years since I became an H&H customer I have gotten to know the family behind H&H and can attest to their commitment to quality and customers satisfaction. And so without hesitation I give them my highest recommendation as a lab that you should take a good look at. However, I encourage you to do your own research, try several different labs and come to your own conclusions! I receive no kick-backs from H&H for signing up new customers – I only write this post in the hopes that it saves some of you a bit of the overwhelm that I felt when I first started down the path of selling physical products to my customers. If you do choose to try H&H, keep in mind that unlike most labs who only offer a test print or two, H&H gives every new account a $50 lab credit that you can use toward any product you choose. I hope this post has been helpful for any of you that were confused about the relationship between Shoot & Sell and H&H or were unaware of the discounts available to our US based users. As always, if you have any questions please feel free to contact us or ask in our FB user group!